Charles Leonard Davis, age 16, continues his diary entries. A "pound party" was a welcoming event held for a new preacher. Church members brought a pound of this or a pound of that to stock the preacher's cupboards. It looks as if Lennie wasn't all that interested in stocking cupboards. 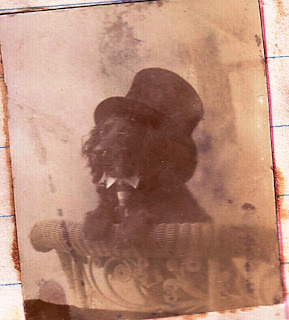 Instead he went to the social at the Haskells. There were at least two households by the name of Haskell in Wakefield according to the 1900 census. One of those homes was about three houses from Lennie's house. Took Earle's & Sport's picture. Sport is Lennie's dog. Click photo for a closer view. 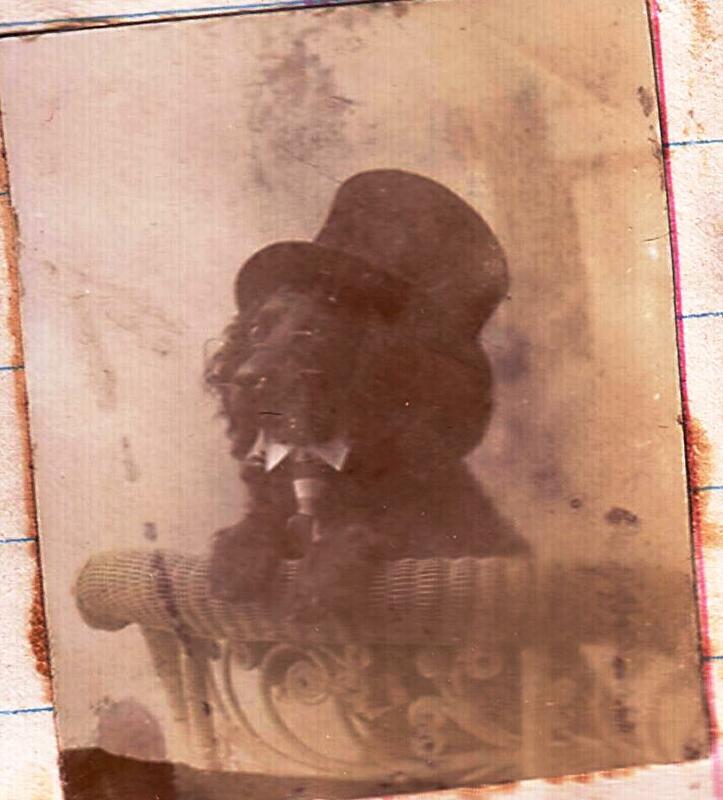 You will see that Sport is wearing a top hat, a collar and tie, and also has a pair of wire-rim glasses perched atop his nose. He was, after all, a "good sport". The original photo is smaller than my thumbnail and this is the best enhancement I could get on my photo software. Guy took our picture at the elevator. Prof. got hot at me. Wrote to Lew and Zella W.
It looks as if the Prof's temper tantrum has caused Lennie to go home and study. It's about time, Lennie! 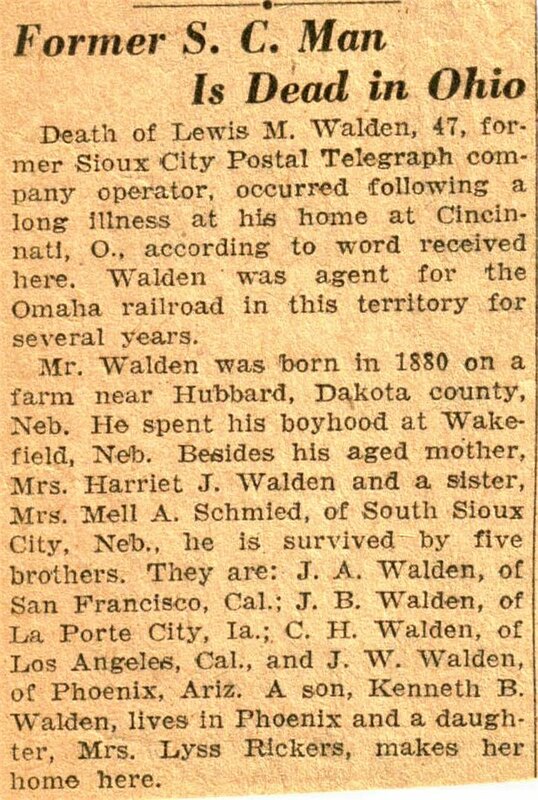 Lew is Lewis M. Walden who used to live down the street from Lennie but who moved to Phoenix some time recently, leaving his parents and rest of the family still in their Wakefield home. Lew is currently 18 years old and works for the railroad as a telegraph operator. 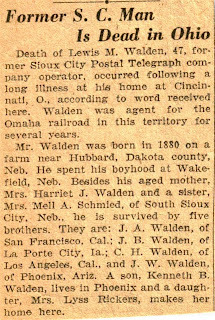 He will die young in 1927 at his home in Cincinnati, Ohio. I love the picture of Sport. He looks very dignified. The photo of Sport is wonderful!!! My co-workers gave me a "pounding" when I got married.